Our ready-to-use preschool resources, crafts and activities, and lessons will make your daily planning fast, easy, and affordable. All our activities are organized and easily accessible right from your computer to save you time. Our high quality preschool resources are teacher tested and will help you cover essential preschool learning objectives. We are here to help you solve the challenge of planning your activities and learning experiences for your preschool and daycare classroom. All our activities are simple to prepare with inexpensive materials. Best of all, our materials are child-tested and interesting as well as educationally sound. Our price is for one classroom, regardless of how many children you have in your care. 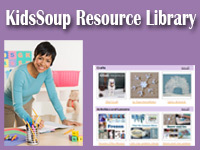 The KidsSoup Resource Library offers thematic resources for more than 100 preschool themes. Begin with your children's interests or the skills you want to focus on and find the perfect preschool resources inside our KidsSoup Resource Library. Find activities for group time, story time, art, learning centers, reading corner, and more. Print the directions and printables right from your computer or save them in your My Resource Box folder for easy future access (Read more). The ABC Twiggles Program is all about the letters of the alphabet. Each letter contains research driven activities that introduce and teach your preschool children the letter with all five senses. All resources can be viewed right from your computer and are downloable and can be printed easily from anywhere. A-Z Letters ​Each letter contains more than 41 printables, 2 interactive online booklets, and a variety of activities--a total of 1,066 printables and 52 interactive electronic booklets! Our newest addition. 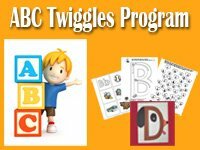 Due to popular demand, we have added to our interactive online books which were previously only available inside our ABC Twiggles Program. 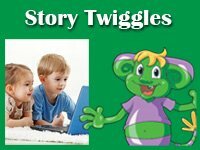 As a Story Twiggles member, you will have access to our Story Twiggles online library with all our over 70 interactive emergent reader books (Twiggle Books) activities and worksheets that go with along with each book. Our online emergent reader books are leveled and you'll find the perfect books for your preschool children who are just beginning to read (Read more).